The ocular lens, macula and retina are continually exposed to oxygen and intense light radiation. Both light and oxygen can create free radicals that damage the membranes of visual cells. Oxidative stress, diet, aging, and smoking can lead to suboptimal eye function and contribute to age-related vision loss. Therefore, ocular tissues rely on a strong antioxidant defense system to protect them from free radical damage. Adequate antioxidant intake is essential in supporting the macula, and recent studies have shown the critical protective role that nutritional supplements play in maintaining healthy vision and eye protection. The healthy ocular lens is rich in the antioxidant vitamins C and E, which scavenge oxygen and light-induced free radicals. High levels of vitamins C and E, and other natural antioxidant defense systems appear to be necessary for complete protection of the delicate, highly transparent lens crystalline proteins. Zinc is an essential mineral for normal visual signal transduction in the retina. Zinc is a cofactor for many of the enzymes involved in vitamin A-dependent photo-transduction in the rod cells. Moreover, zinc is an essential cofactor of superoxide dismutase (SOD), an antioxidant enzyme that removes potentially dangerous superoxide radicals in the visual cells, the lens, and other tissues. Lutein and zeaxanthin are nutritionally important carotenoids that occur in selected, often brightly colored vegetables, such as spinach, kale, and corn. A typical US diet contains 1Œ3 mg/day of lutein and zeaxanthin, but research recommends at least 10 mg/day. These specific carotenoids are efficient quenchers of free radicals in the body, and research has shown that they are the predominant pigments found in the macula. In the AREDS 2 study, participants took one of four AREDS formulations daily for five years. 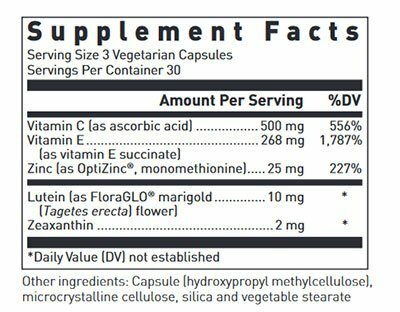 The group with the best outcome for the support of vision was the group consuming Vitamin C 500 mg, Vitamin E 400 IU, Zinc (either 80 mg or 25 mg), Copper 2 mg, Lutein 10 mg and Zeaxanthin 2 mg daily with no beta-carotene. No differences in outcome were observed with respect to the differing zinc levels. 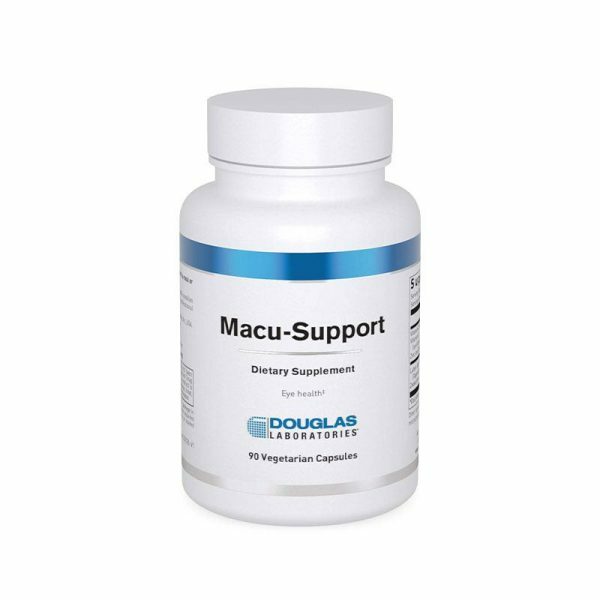 The Macu-Support formula reflects these positive results with the exception of copper, which was excluded from this formula due to the abundant copper levels found in food, environment and multivitamins. Beta-carotene is also excluded from the formula based on the study due to its potential competition for absorption with lutein and zeaxanthin. 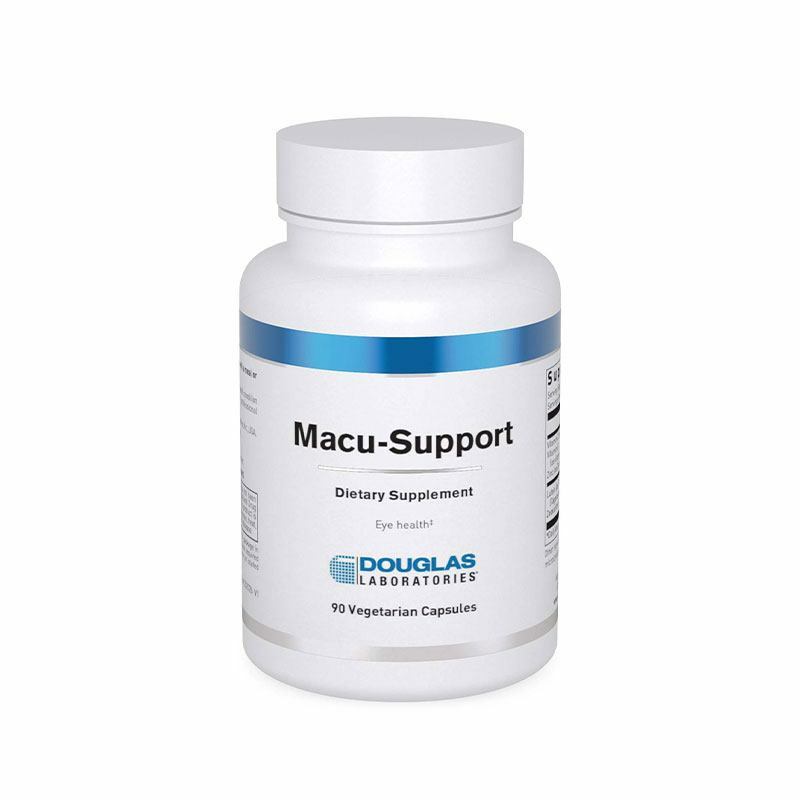 Macu-Support can be taken in conjunction with a multivitamin/mineral supplement if desired.